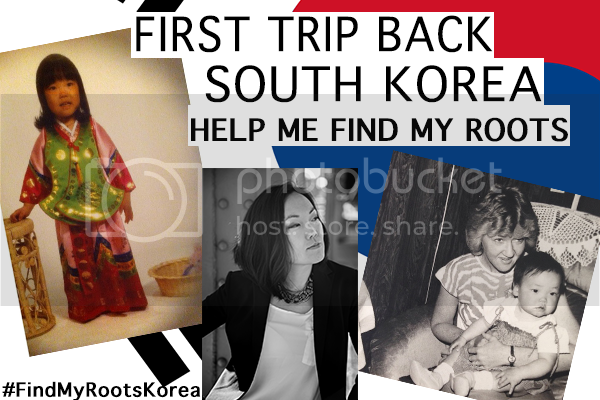 It’s to help me make my 1st trip back to South Korea and search for my roots. I recently found out that I was accepted to join G.O.A.L Global Overseas Adoptees Link‘s group trip to Korea. They do cover accommodation, food and conduct research for my birth family however they do not cover the airfare. CAMPAIGN ENDS MONDAY AUG 25 11.59PM (EASTERN STANDARD TIME)! Dates: Aug 26-Sept 13, 2014. Given this unexpected opportunity I’m now exploring ways to make this dream trip reality. I’m thankful for any contribution! Will document this trip and record daily updates, spread awareness about adoption and hopefully inspire others to chase their dreams!